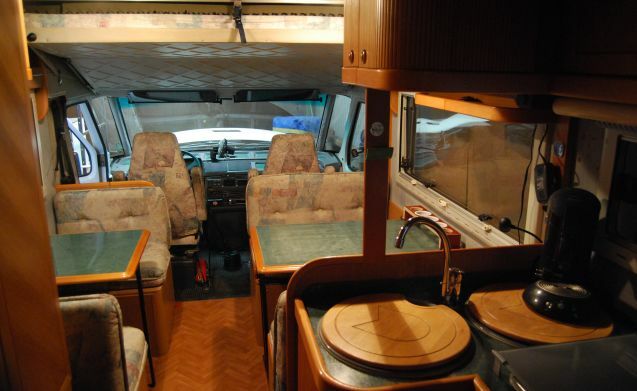 A spacious camper, Italian Design with a strong 3.5 liter Turbo Intercooler and twin air behind. 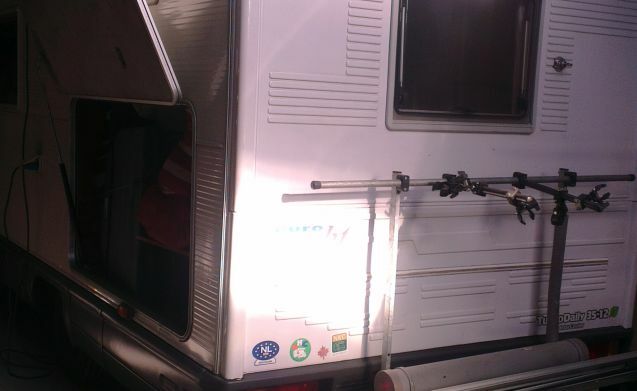 Although the camper from 1995, however, he has always been inside and is always well maintained. This year we received compliments from the appraiser how he looks for his age. 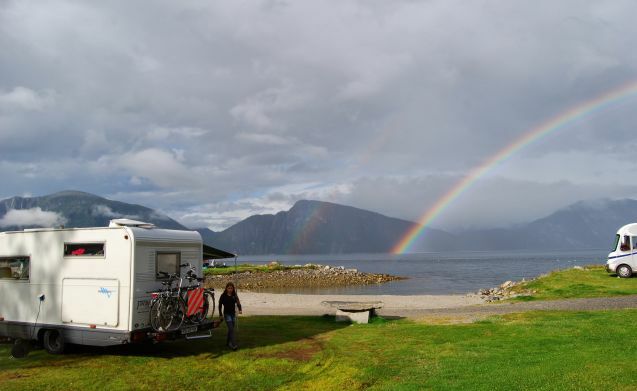 We, our family of 5 people, have made use of the camper every year during the summer. In addition, my parents, the original owners, criss-crossed Europe every summer. 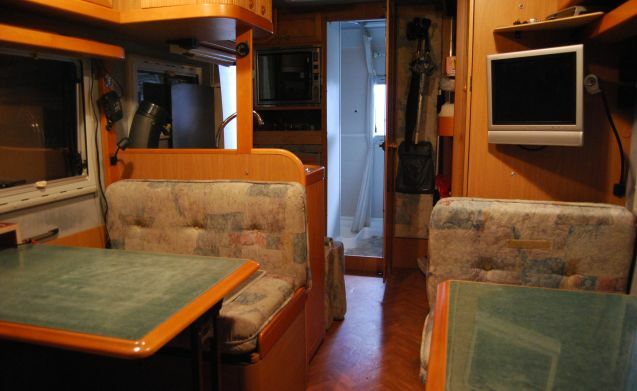 Because we can not make optimal use of the camper, he is now regularly rented out. As a result, an All-riks insurance has been concluded, including SOS assistance throughout Europe. He is also well maintained and has, for example, received 6 new tires this year. 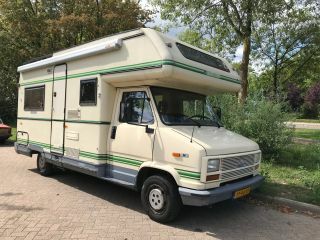 Originally it is a 7 person camper but you can hardly take any stuff with you. Ideal is 2 to 5 people. It is an advantage if you are used to large cars, but for rental purposes I will always go test driving to give you directions and tips. The tenants all say that switching and driving is a matter of getting used to and that you are used to it after a few hours. 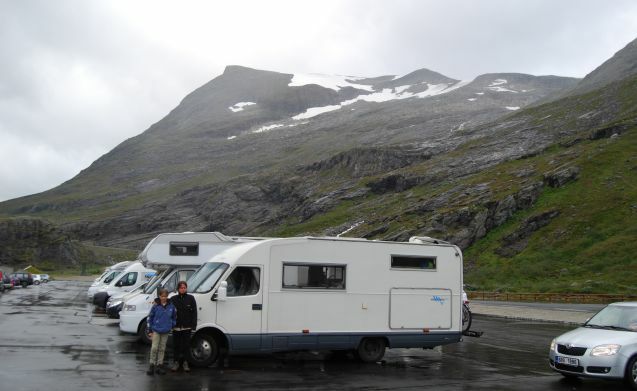 The camper is also well suited to free parking / camping without facilities. This is due to its large water tanks (clean and dirty! ), Its new batteries and its 4 solar panels. 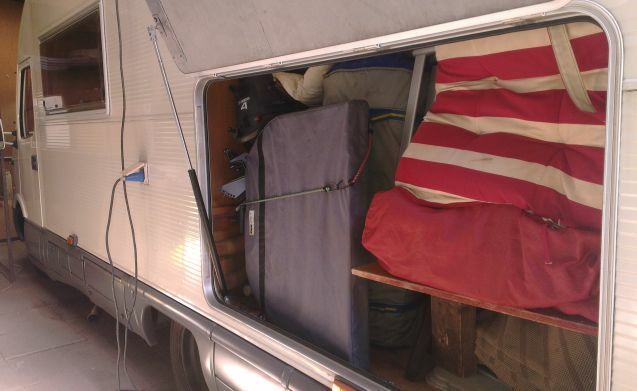 The last tenants have had him 2 weeks and have been 1 x at a camping / motorhome place. 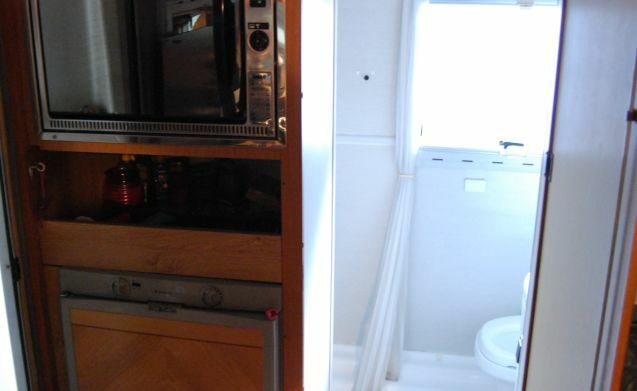 There is a good shower, toilet (with solid waste water tank), oven, refrigerator, 4 pist gas stove and a heater. 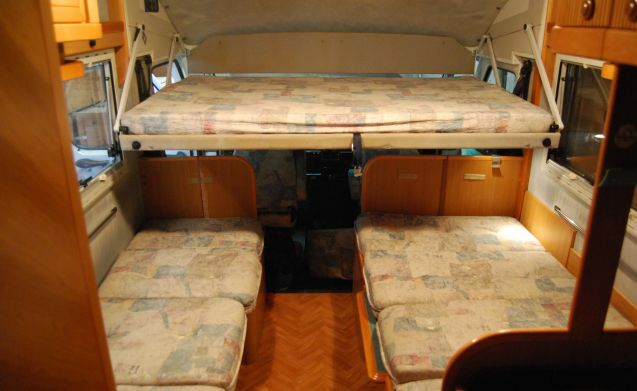 There are 2 double beds (1 folds down above the driver and co-driver seat downstairs and is therefore always made up), 1 single bed and 1 long single bed bunk (upstairs). 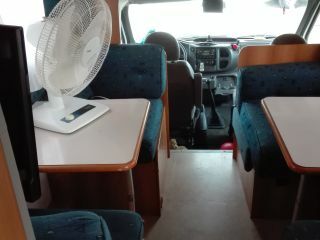 Feel free to contact me, for example, to view the camper an x.